After having such a busy past few weeks, the blog updates inevitably had to suffer. There have been far too many things going on (both cows calving, piglets weaned/sold etc.) as well as our popular holiday let not to mention the full-time day job and there are only so many hours in the day. It’s definitely time for some updates on the other aspects of life on our North Pennines smallholding. Our 2 egg laying hens are doing us proud lately with regular egg production and also looking pretty good while they stroll leisurely around the place as if they owned it. For the record, they are named Birdy and Babs after female singers. 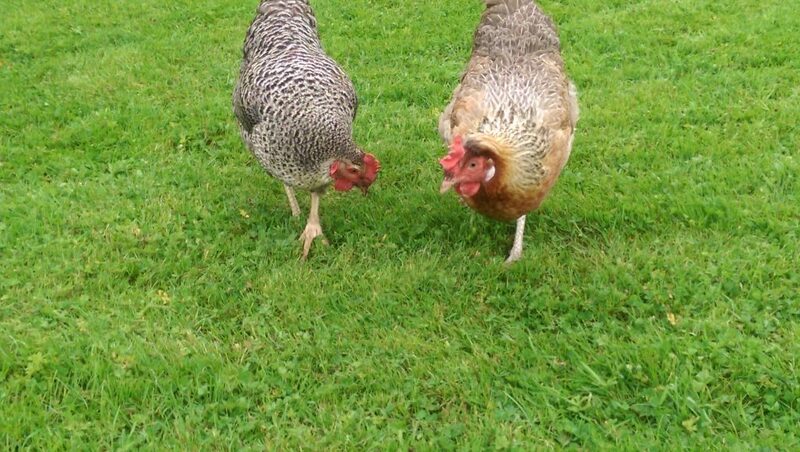 Babs (on the right in the photo) is a Columbine and she lays blue eggs with an occasional double-yokers for good measure. 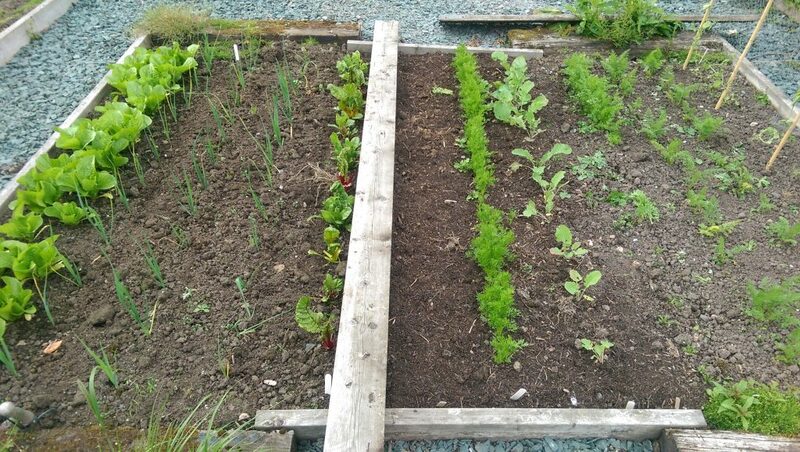 The current pride and joy is the middle raised bed which this year holds a selection of vegetables, all of which seem to be doing very well. Last year was not such a good year for the fruit trees, mostly I think because we have a large number of jackdaws and other birds in the general area who must have been hungry! Hopefully I can get more organised this year and protect the fruit before the birds start attacking them. 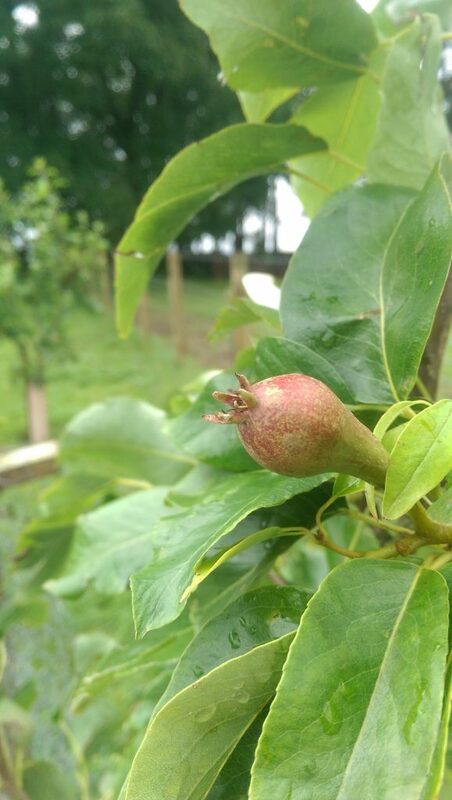 As for the pears, it might not seem like much to others but last year we had no sign of any pears. 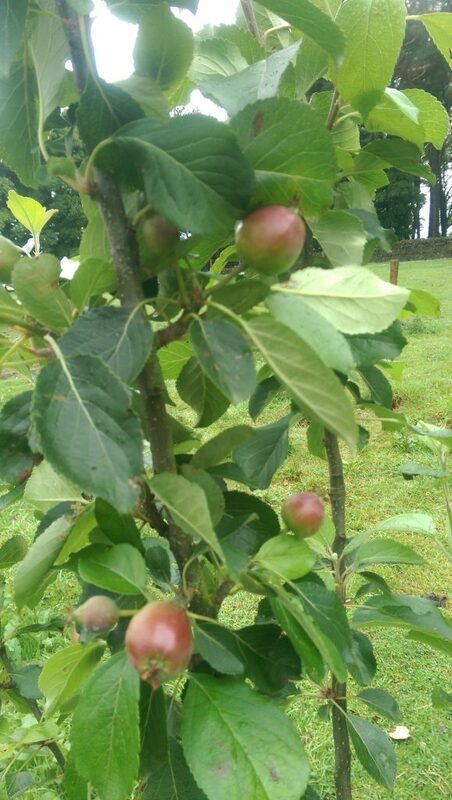 This year one of the two trees actually has some fruit – although to be honest, I shouldn’t use the term “some fruit” when there’s only a single pear!